Sawn timber is cut from beams and processed individually. One or both edges of the boards are originally untrimmed. 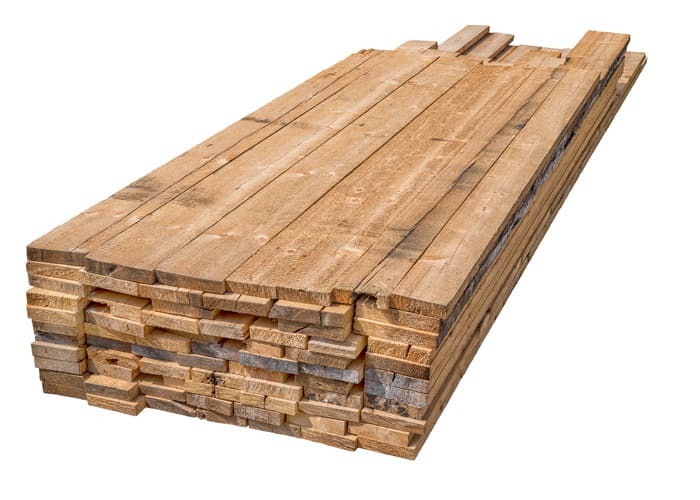 Sawn timber may have nail holes, notches or other traces. If requested, we also offer kiln-dried (pest-free), planed to a uniform thickness and/ord trimmed on both sides (see form) timber. Sawn Timber from solid oak can be found here. Sawn timber is used for individual furniture construction, but is also installed for interior panelling. Nail holes and notches create the classical character of reclaimed wood. Auf welche Stärke soll gehobelt werden?